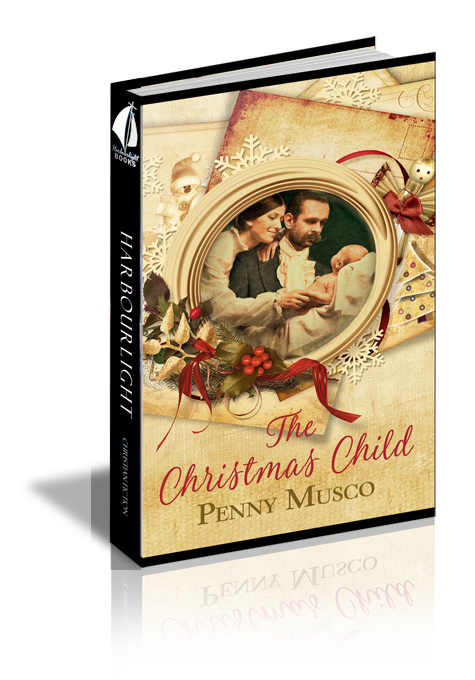 Christmas is a time to celebrate Jesus' birth, but for Hannah and Robert Jessup, there is no joy, only the crushing sorrow of a childless marriage. Despite Hannah's newfound faith--another source of tension with her husband--she feels the pain of infertility keenly. When their unmarried maid offers them her unborn baby, Hannah sees it as an answer to prayer, but Robert refuses and banishes Rosa from their home. Will infertility and a wife's newfound faith crush Robert and Hannah's marriage? How will God answer Hannah’s desperate prayers for a child and her husband’s salvation? Hannah stared at the small calendar on her desk. After two years of disappointing months, it should be easier, but it wasn’t. The tiny spark of hope that sometimes consumed her like a blazing fire flickered feebly this morning. A certain coolness would soon settle in around her heart until the next month. And the next. With a swirl of her taffeta underskirt, Hannah left the parlor. Breakfast waited. Robert undoubtedly was already at the table. There would be no child in the Jessup household in 1891 after all. “Good morning, darling.” Her husband’s cheerfulness almost brought out the tears that threatened to break the surface. But she would say nothing. Their childlessness remained an unspoken subject. The door from the kitchen swished open as Hannah took her place, Rosa’s timing impeccable as usual. Hannah glanced around the table. Precisely laid dishes, attentive husband, efficient maid. The familiar morning routine. Everything as it should be. Except—no baby. Rosa’s hands trembled slightly as she poured the tea, and a few drops spilled on the white damask tablecloth. The girl hurried to blot the stain with her apron. “Yes, ma’am.” Rosa’s voice, with its mere hint of Italian accent, wavered. “Everything is almost ready.” She hurried out, the smell of bacon on the verge of burning wafting in from the kitchen. A flush crept up Robert’s face. Hannah instantly regretted her words. Still, at least this was one topic out in the open. Robert was prevented from answering by the return of Rosa with their meals and the newspaper. Not wanting to press the matter further, Hannah busied herself with eggs and toast, noting that the bacon was only slightly darker than normal. “Ah, so there is a new dress!” Robert bent over her, and Hannah caught her breath. He took both her hands in his. “Have a pleasant day, my love.” Then he gently kissed her palms and was gone. Hannah squeezed her eyes shut. It wasn’t fair to take out her unhappiness on him. Never once had he said anything about not having children, never hinted that it was her fault. But…did he even care? She wished she knew. Rosa peered around the dining room door. “Yes, you may clear away the dishes. I’m finished. On second thought,” she said, rising, “come upstairs with me for a moment.” Now was a good time to find out what was troubling her maid. The weak sunlight of the early spring day spilled across the parlor’s parquet floor and scattered rugs. This was her favorite place in their modest Fifth Avenue brownstone, steps from Washington Square’s soaring arch. Contrary to current fashion, it wasn’t stuffed with furniture, ornaments, and prints to occupy every inch of space. Not only could the Jessups not afford it, even though they were what was commonly known as “comfortable,” but neither of them wanted it. The room offered her a tranquil serenity, something she badly needed this morning. Hannah’s fingers gripped the sofa’s delicate fabric. “When?” she finally managed to croak out. “It is dirty and noisy and crowded, full of children playing, selling newspapers, and sí, even fighting and gambling. But my parents protected us, and even though they didn’t have much school, they insisted I go. I graduated and now I work so my sisters can go, and so I can attend college next year and become a teacher. I even have a scholarship at Barnard, the new school for women at Columbia University. But now...” Rosa faltered. “Now I am...I am...” She buried her face in her hands and wept. After a moment her crying subsided, and she pulled a handkerchief from the waist of her apron and dabbed her eyes, avoiding Hannah’s sympathetic expression. “But I haven’t told you how it happened,” she whispered. “Mama isn’t well. She had tuberculosis several years ago. She’s better now, but her lungs are no good. I had to do most of the work at home. It was hard, going to classes and taking care of everything, but I did it. I didn’t think I’d be able to go on in school after all, but then I didn’t count on mia migliore amica. “You and Caterina are the only ones I’ve told. Would you like me to leave here right away?” she asked quietly. “Then Caterina could come, while I go back home. If that is all right with you.” Rosa obviously had thought things through. Question 1: Proverbs 30:15-16 says, “There are three things that are never satisfied, four that never say, ‘Enough!’: the grave, the barren womb, land, which is never satisfied with water, and fire, which never says, “Enough!’” Christmas Child concerns itself with the second thing, the barren womb. How is it like the other three? Answer 1: Not being able to give birth to a child is an ache that never completely goes away. Death (the grave) is an ongoing process; people are always dying, so “death” is never satisfied. Land constantly thirsts for water. Fire consumes greedily, always wanting more to feed upon. Question 2: Christmas Child touches upon the theme of adoption. Adoption still carries a stigma in most societies. Why is that? Answer 2: Answers vary. Possible ones include adopted children perhaps don’t look like their adoptive parents, there’s the element of the unknown in their background (as opposed to those born to parents), the idea that there’s something wrong with the parents because they can’t produce a biological child of their own. Question 3: What does Scripture have to say about adoption? Question 4: Rosa Angeleri, from an Italian immigrant family, mentions how others look them down upon. How do we see this in America today? Answer 4: The controversy over immigration, racial tensions, etc. Question 5: Christmas Child mentions Jacob Riis’ book, How the Other Half Lives, an exposé of New York City’s appalling tenements and their lower-class (and often immigrant) inhabitants. What modern day parallels can you think of between the haves and the have-nots? Answer 5: Answers vary. Possible ones include the shrinking middle class, first versus third world countries and economies, different regions in the U.S. Question 6: In Christmas Child, evangelist Dwight L. Moody speaks, in quotes taken from his book, The Overcoming Life. He says he find one of the “sweetest promises of all” is Matthew 11:28-30: “Come unto Me, all ye that labor and are heavy laden, and I will give you rest. Take my yoke upon you, and learn of me, for I am meek and lowly in heart: and ye shall find rest unto your souls. For my yoke is easy, and my burden is light.” He then goes on to list places where he would not go to find rest—wealth, pleasure, politics, and learning. Why aren’t these areas conducive to the kind of rest Moody and the Scripture refer to? Answer 6: Answers vary. Possible ones include the accumulation of wealth usually leads to thirst for more and wealth doesn’t shield people for sorrow; the pursuit of pleasure is never completely satisfied, meaning it’s a constant quest; politics means division; learning doesn’t always lead to satisfaction; in other words, all involve a never-ending striving instead of rest. Question 7: Robert Jessup’s boss and his wife, the Duffs, regard church attendance as a duty, and dismiss Hannah’s faith as perhaps just a passing fancy. How do we see this in today’s society? Answer 7: Answers vary. Possible ones include our society seems to be even less indulgent and polite about those who follow biblical Christianity, church attendance isn’t a barometer of faith, Christianity is just one of many truths, those who believe Christianity as truth are intolerant. Question 8: A minor character in Christmas Child, Elvira Murray, says, “[N]one of us is ‘good,’ none of us follows God’s rules completely all the time. We are seeking quite the opposite, our own pleasures and comfort…And the Lord calls that sin.” How have you seen this in your own life? Question 9: Hannah, Christmas Child’s heroine, is amazed to discover the story of another infertile Hannah in 1 Samuel. She briefly wonders whether it’s appropriate to pray for a child, but is encouraged by her biblical namesake’s own petition. What kind of things do you struggle to pray about? Question 10: Romance novels usually have happy endings. In real life, though, not every difficulty is resolved satisfactorily, and therefore romances sometimes are knocked for being unreal fantasies. How would you counter that attitude? Why do you read romances? Answer 10: Answers vary. Possible ones include fiction (even romances!) help us realize we’re not alone in our problems; we enjoy reading about happy endings, especially when we’re going through our own struggles; we learn about different times and places while being entertained; we’re sometimes stimulated to see solutions for our own difficulties; most fiction reading is relaxing escapism, no matter what the genre! Penny is a freelance writer with credits in several national publications and a B.A. in Theatre. She combined those two interests by writing and performing a one-woman show while Artist in Residence for the National Park Service. Her book, Life Lessons from the National Parks: Meeting God in America’s Most Glorious Places, won a 2017 Excellence in Editing award.